We all know that outfitting a house with solar panels is not cheap right now. Harnessing enough sun to be able to live completely off-grid costs many thousands of dollars, up to many tens of thousands depending on how much electricity is needed. But do we really need to go from 0% to 100% clean energy in one go? That's not usually the way things are done; we usually do incremental changes. The idealist will say that it's not fast enough (and might be right), but the realist will say that the mainstream has more chances of going for it if it's not too radical and expensive, and that the power of numbers is hard to deny. So the question is: Do we really need to go 100% solar at once? What is the least you could pay and still end up with enough solar juice to run some things around the house? Hence this Do it Yourself (DIY) kit were created for you to begin with. Start small and grow large later! All DIY Kits are in stock, can be ship out the same day! 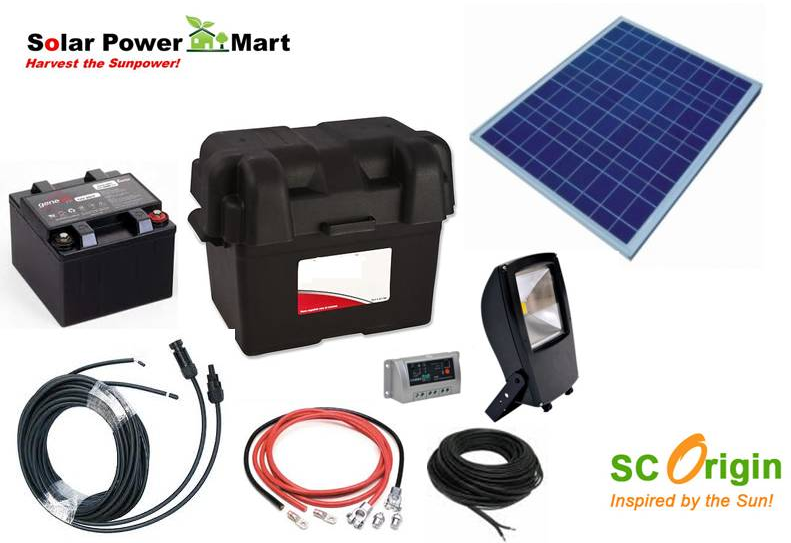 Our 50 Watt solar power kit for do-it-yourselfers. Includes all the parts to build your own system to solar powered lighting such as streetlight, bus stop, guard house, remote home and so on..
We've made it very easy to put together with complete instructions. 8) Outdoor cable & battery wire, solar MCB, switcher, connector & etc. 15A X 12V = 180 watt-hours per day. If you were using a 5 watt 12V LED bulb then you could light the bulb for 36 hours with the energy you produced that day. But you have a battery! Since the battery holds 40 amp-hours or over 480 watt-hours of energy, you could light the light for 96 hours before you need a charge, but it's better to charge it sooner. You get the idea - the sun puts watt-hours into your battery and then you use it to power stuff that uses watt-hours. Energy in, energy out. The charge controller prevents the 12V sealed lead-acid battery from over-charging. Perfect for beginners that want to get started in solar but don't know where to begin. 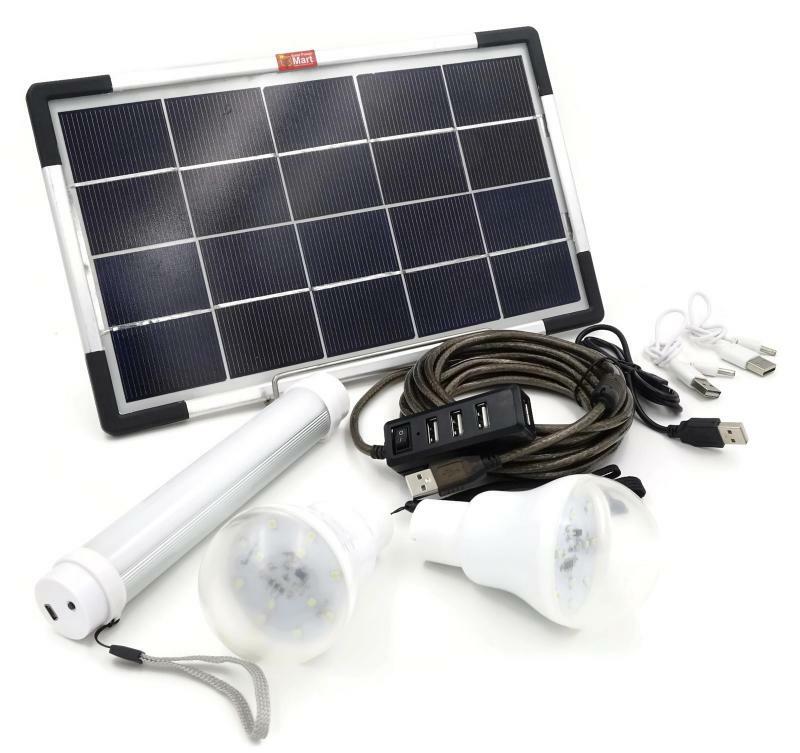 Upgrade available for additonal solar panel (up to 120Wp), SLA battery, LED bulb (25 bulbs) and inverter. Customize your own system. House the battery and components in the waterproof vented battery box provided. Cut a hole and mount the panel voltage meter, and weatherproof with silicone sealant from the hardware store. Makes a great demonstration system to show how a basic solar energy system works. Two unit Bolt LED wireless light bulbs and one unit Roller portable LED tube light. Which is portable and seamless ligthing applications. Great for rural home that don't have electricity, hiking, fishing , camping , outdoors. An awesome addition to your outdoor kit and small enough to fit in your backpack too! Connect the solar panel to your smart phone, power bank (or any USB devices with internal batteries) and place them under the sunlight to charge. Sick of poor performance on lead acid battery? Installation site too hot? Batttery cycle too short? Slow charge of lead acid battery? Worry no more with our Lithium Battery (LiFePO4) Solar Power DIY Kit! Which is design to solve these problems. 7) Outdoor cable & battery wire, solar MCB, switcher, connector & etc. But you have a lithium battery! Since the battery holds 16 amp-hours or over 192 watt-hours of energy, you could light the light for 38 hours before you need a charge, but it's better to charge it sooner. The llithium friendly solar charge controller prevents the 12V lithium battery from over-charging. The lithium battery also has built-in BMS for double protection. Upgrade available for additonal solar panel (up to 120Wp), lithium battery, LED bulb (25 bulbs) and inverter. Back by popular demand! 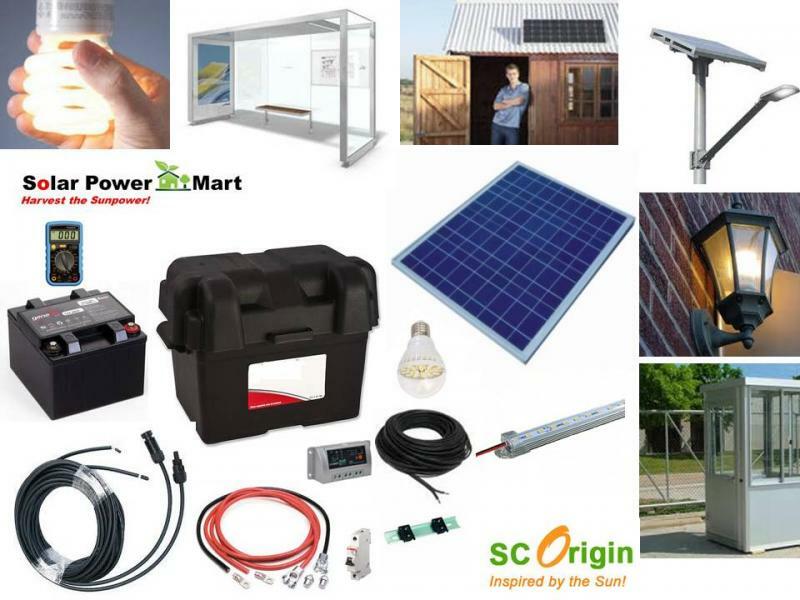 Our 50 Watt solar energy starter kit for do-it-yourselfers. Includes all the parts to build your own solar energy system to power lights, radios, laptop computer, fan, small tv and lots more. If the 50 watt solar panel received 5 hours per day of full sun, then you would have generated 250 watt-hours of energy (double if you get 10 hours of sun!). If you were using a 20 watt table fan with the inverter (we'll call it 25 watts because the inverter uses some energy) then you could light the fan for about 10 hours with the energy you produced that day. But you have a battery! Since the battery holds 40 amp-hours or over 480 watt-hours of energy, you could on the fan for 19+ hours before you need a charge, but it's better to charge it sooner. The charge controller prevents the 12V sealed lead-acid battery from over-charging, the inverter converts the 12V DC to 240VAC 50-60Hz (standard household-type power). The 500 watt inverter is limited to loads of 500 watts or less. In very simplified terms, a solar generator works by converting solar energy into electrical energy. This energy can then be used to do such things as power lighting, computer, and run the TV. The generator consists of solar panels (which must be placed where they will receive the most possible sunlight,) a deep cycle battery for continuous use, and an inverter. The inverter is necessary to convert the DC power stored in the battery into AC power. Determining the appropriate strength of an inverter for a solar power system is a fairly simple task to accomplish. First, add up the wattages of all of the appliances the solar generator is intended to power. Then, select an inverter that is slightly more powerful. Of course, if the generator is only going to be used to run DC appliances, there is no need for an inverter. A DC meter and DC input will suffice. Perfect for beginners and those wanting to get started in solar but don't know where to start. Upgrade available to move up to a 1,000 Watt Inverter. Customize your own system. House the battery and components in a waterproof vented battery box provided. Makes a great demonstration system of how a basic solar home works. Teach your kids and other peoples kids about solar power - they're the future! 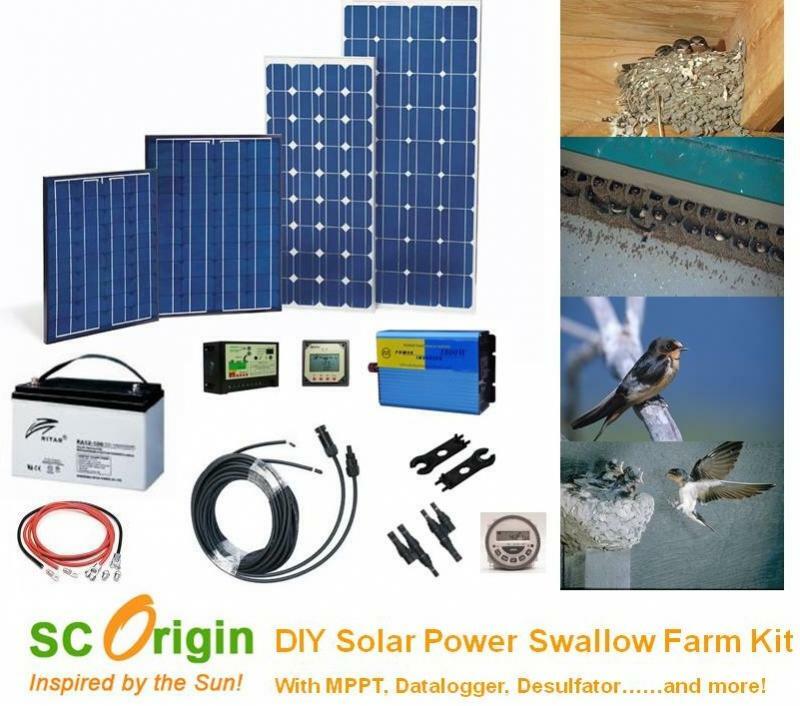 After work with 500 swiftlet farms accross south asia, we had sucessfully designed (based on indutrsial best practise) a Do It Yourself (DIY) solar power kit for swiftlet farm onwers. Now they can save a great deal compare using gensets. Includes all the parts to build your own system to solar powered audio system for swiftlet homing and echoing. We also reserve some power for energizer (shocking owl), DC lights and humidifiers. 9) Solar cable & battery cable, switcher, connectors, connector spanner tool set & etc. 75 X 12V = 900 watt-hours per day. If you were using our recomended amplifiers then you could on the audio system for 24+ hours with the energy you produced that day. But you have a battery! Since the battery holds 100 amp-hours or over 1,200 watt-hours of energy, you could on the two audio systems for 4-5 days before you need a charge, but it's better to charge it sooner. The DIY kit will power two audio systems: one for homing outside walet house for 13 hours and one for inside walet house for 24 hours. Hence, you can provide 2 different homing and echo to your walet house. A specail designed 12Vdc timer to turn on and off the system for homing and echoing applications. Upgrade available for additonal solar panel, SLA battery, audio system and invertor. 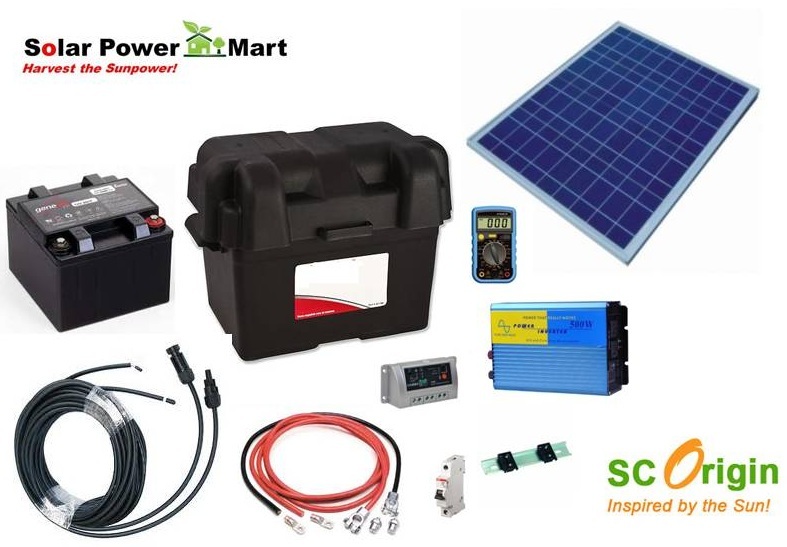 With this DIY kit, you can retire your gensets and save your monthly fuel cost and the return of investment versus genset power is less than 6 months. MPPT solar charge controllers are relatively new to the solar energy industry. These charge controllers are different than the traditional charge controllers in that they are more efficient and in many cases more feature rich. MPPT charge controllers allow your solar panels to operate at their optimum power output voltage, improving their performance by as much as 30%. Traditional charge controllers reduce the efficiency of one part of your system in order to make it work with another. Why Datalogger and Power Management System? Datalogger is designed to measure and display panel current, load current and battery voltage of your PV system as true values and status values like charging, overload, low voltage disconnect as symbols. Additional you can display several values of data logger of the past event (by min, hour, day, month, and year) as Ah, SOC, Battery voltage (morning, evening). This provides you more detailed information of your PV system. With the right tool, you can better manage your solar energy usage to prevent unnecessary power down. Information is the key of success in solar power swiftlet farm. As most batteries are idle longer than they're charged, the batteries are left discharging for longer periods of time than when they are charged. This causes water and lead sulfate (PbSO4) to form at a faster rate than it can be reconverted back to lead, lead dioxide and water. Lead sulfate that's left sitting, originally spongy, will eventually crystallize. Once in crystal form, the lead sulfated cannot be reconverted, even when the battery is being charged. This causes a reduction in active material (the lead and lead dioxide) and surface area where chemical reaction takes place. Eventually, the battery will no longer have the capability to supply enough power. This process, also known as sulfation, is the main cause why batteries fail prematurely! Our desulfator generates Amplitude Modulated Pulses (AMP) at the resonance frequency of the crystals to shatter the covalent bonds that hold it together. This allows the lead sulfate to be reconverted once the battery is charged. A battery free from lead sulfate crystals will have its life span stretched to its maximum! No more premature failure due to sulfation! 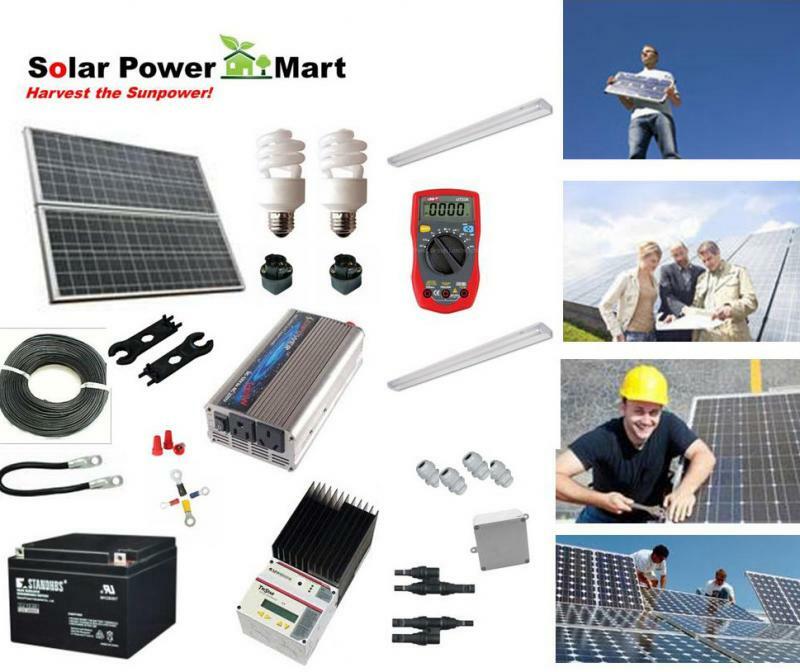 Our 50 Watt solar power kit for do-it-yourselfers. Includes all the parts to build your own solar powered floodlight. It is ideal remote lighting and run entirely on solar power, which clean energy and friendly to the enviornment. The best part is no electrical bill to pay. 6) Outdoor cable & battery wire, solar MCB switcher, connector & etc. 15 X 12V = 180 watt-hours per day. If you were using a 12 watt 12V floodlight light then you could light the bulb for 15+ hours with the energy you produced that day. But you have a battery! Since the battery holds 40 amp-hours or over 480 watt-hours of energy, you could light the light for 40 hours before you need a charge, but it's better to charge it sooner. The charge controller equiped with dual timers function, which provide customize lighting applications. Upgrade available for additonal solar panel (up to 120Wp) and SLA battery for longer operation period. Customize your own system. House the battery and components in the waterproof battery box provided. 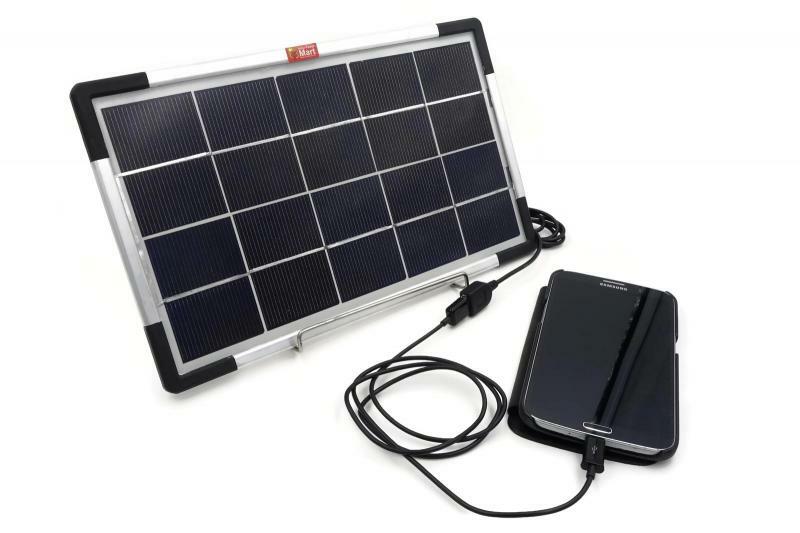 Our ultimate DIY solar power Kit for serious off-grid or standalone! 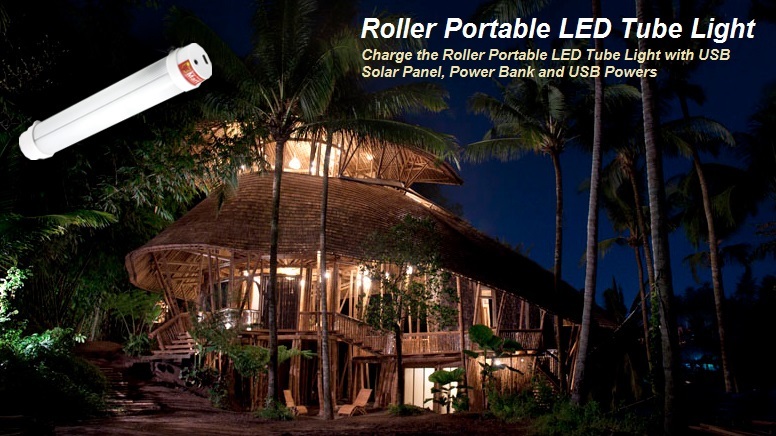 Our 1,020 Watt solar energy kit for do-it-yourselfers. Includes all the parts to build your own solar energy system to power lights, radios, laptop computer, fan, TV and all most everything. 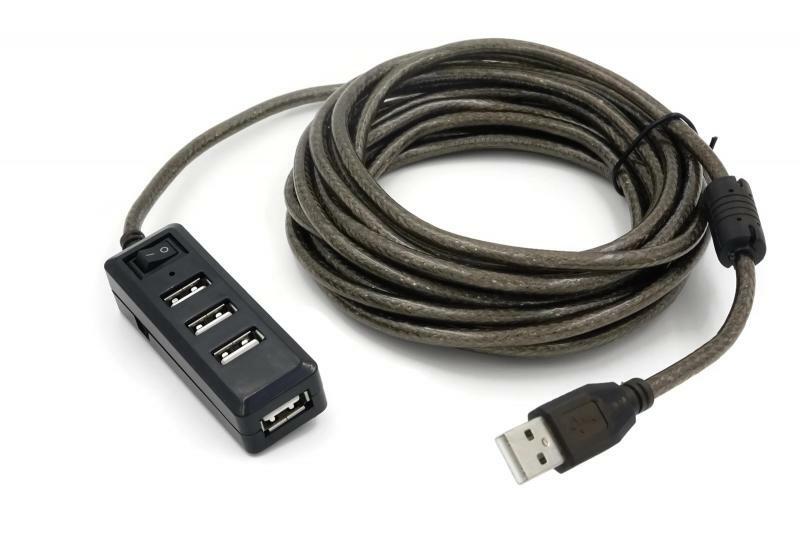 5) Outdoor cable & battery wire, switcher, solar branch connector & etc. If the 1,000 watt solar panel received 5 hours per day of full sun, then you would have generated 5,000 watt-hours of energy. If you were using a 50 watt LED TV with the inverter (we'll call it 65 watts because the inverter uses some energy) then you could light the LED TV for about 76+ hours with the energy you produced that day. But you have a battery! Since the battery holds 1,000 amp-hours or over 12,000 watt-hours of energy, you could on the LED TV for 184+ hours before you need a charge, but it's better to charge it sooner. The MPPT charge controller prevents the sealed lead-acid battery from over-charging, the inverter converts the DC to 240V AC (standard household-type power). The 2,000 watt inverter is limited to loads of 2,000 watts or less. Upgrade available to move up to a 5,000 Watt Inverter.